Perhaps the greatest contribution Stacy made to the future livability of not only Travis Heights, but the entire Greater South River City Neighborhood, was the dedication of land adjacent to Blunn Creek and the bluff which drops down to Town Lake as public parks. Stacy’s sons, Harwood and Gillespie, added more land along Blunn Creek. This parkland later became known as Stacy Park. While Stacy Park was intended as a major recreational area, it also served as a natural divider between Travis Heights and the Fairview Park and Swisher subdivisions. 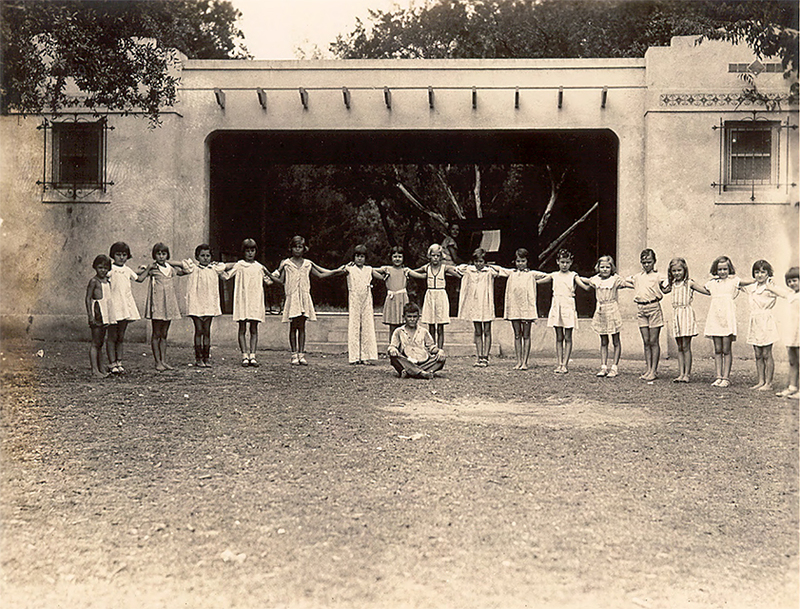 The land for Little Stacy Park was purchased by the City of Austin for $17,150 from the Stacy Realty Company in 1929. The 6.73-acre neighborhood park serves the Travis Heights-Fairview Park Neighborhood. Little Stacy Park is sited at a distinctive horseshoe bend of Blunn Creek and the park is heavily wooded with a large field in the center. Little Stacy Park is at the northern end of the Blunn Creek Greenbelt, which connects to Big Stacy Park and Pool at the southern end. 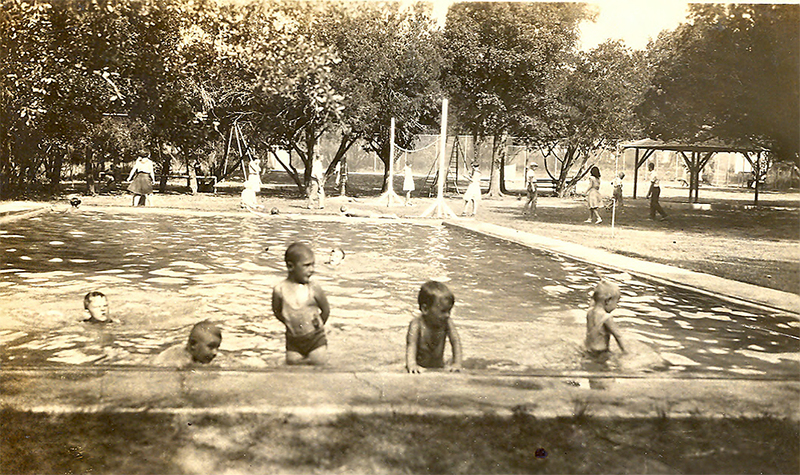 The small wading pool at Little Stacy also dates to the 1930s. 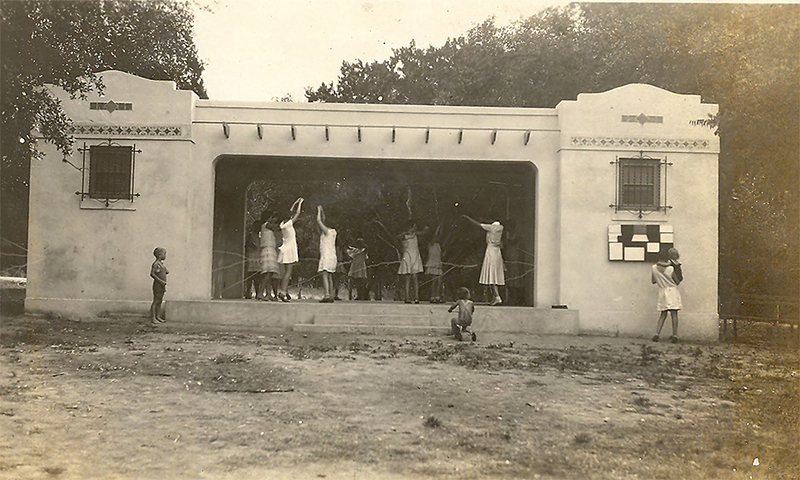 The Little Stacy Park Shelter House was constructed in 1930 and is a one-story stucco structure with two square rooms connected by a flat roof…The area between the bathrooms is an open breezeway and was traditionally used for performances and games. It is widely thought that Kuehne, a prominent architect and early supporter of Austin parks, designed the shelter houses at Little Stacy Park, West Austin Park, Pease Park, Shipe Park, and Eastwoods Park. Designed in the Mission Revival Style, the shelter house was meant to complement the architectural style of the adjacent neighborhood. The Travis Heights-Fairview Park Neighborhood was developed as an early suburb of Austin starting in the 1880s through the 1950s. The architectural styles of the neighborhood vary widely, from historic eclectic styles to bungalows. Strongly influenced by the City Beautiful Movement, the neighborhood plan is characterized by curved streets, large lots, and extensive trees and landscaping. The addition of Little Stacy Park in the late 1920s, Big Stacy Park in the late 1930s, and Blunn Creek Greenbelt contribute greatly to the naturalistic feel of the neighborhood. The early shelter houses were designed to be multi-purpose facilities and early photos show that they were often used for performances and games. Other shelter houses that date from the 1930s include Shipe Park (log traditional), Palm Park (NPS Rustic), Eastwoods Park (NPS Rustic), and Bailey Park (NPS Rustic).